I find it really difficult to take an appetizing picture of meat. They always just look like brown blobs. Then add a darkly grilled potato and you have a pretty blah looking plate. I tried draping the asparagus around to make it more exciting. After a few days of more complicated dinners, grilled lamb chops, microwaved then grilled potato, and sautéed asparagus was a welcome change. 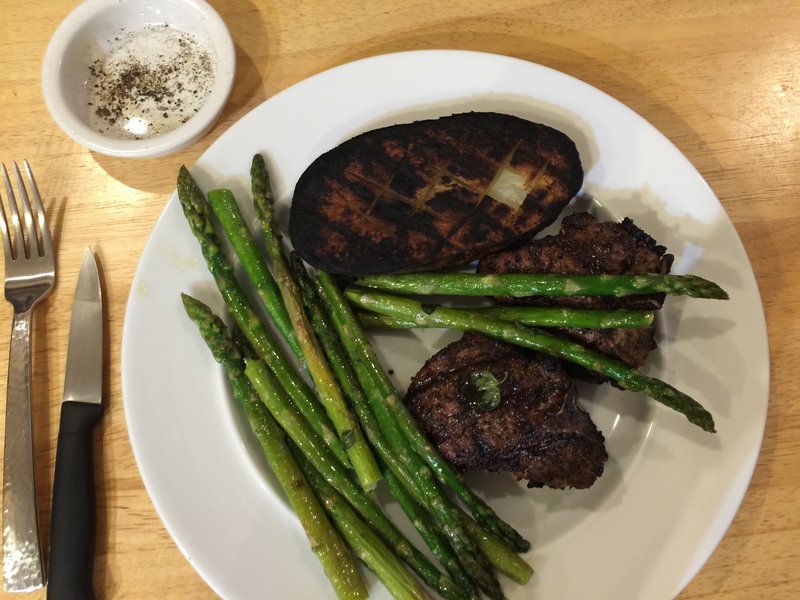 This entry was posted in Lamb, Vegetables and tagged asparagus, grilled potato, lamb chops. Bookmark the permalink.